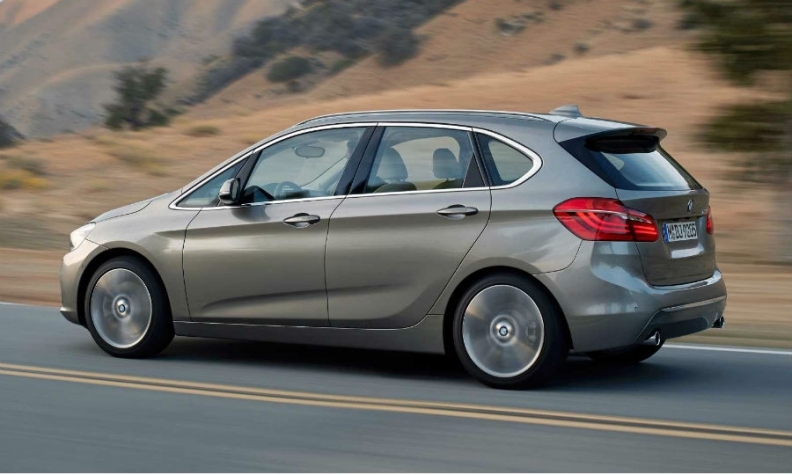 The 2-series Active Tourer targets buyers looking for functionality along with good driving dynamics. MUNICH -- BMW today released details and pictures of the 2-series Active Tourer, a minivan rival to the Mercedes-Benz B class that will be the brand's first front-wheel-drive vehicle. The model is underpinned by BMW Group's UKW fwd architecture that debuted last year on the third-generation Mini hatchback. The 2-series Active Tourer will also be the first BMW to offer a three-cylinder engine -- a new turbocharged 1.5-liter gasoline engine that is also available on the Mini. 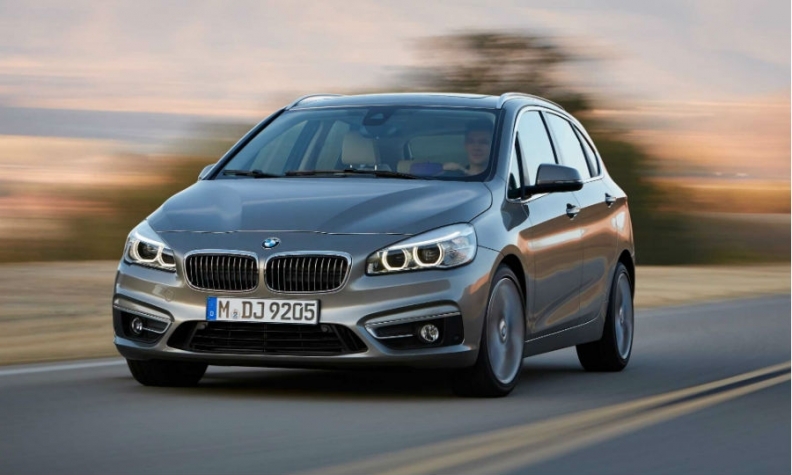 The 2-series Active Tourer combines comfort and functionality with BMW's driving dynamics, BMW said in a statement. The model will debut at the Geneva auto show on March 4 and will join the rear-wheel-drive 2-series coupe in BMW's lineup when it launches in Europe later this year. It arrives in U.S. in early 2015. The 2 series Active Tourer's fwd marks a departure for the BMW brand, traditionally known for its sedans and sporty SUVs. The 2 series Active Tourer has luggage capacity that can be enlarged to 1,510 liters from 468 liters. The vehicle's fwd platform may upset BMW purists who value the driving dynamics of the automaker's rwd models, but BMW will remain a very much a rwd company, development director Herbert Diess told Automotive News Europe in an interview earlier this year. The 2-series Active Tourer is a response to customers downsizing from larger sedans, especially in Europe, he said. BMW plans about 30 rwd models and 15 fwd vehicles, including Mini-badged models. Diess said the company is still discussing if and when to launch other fwd BMWs. He said the fwd platform has considerable flexibility because it can underpin midsized models up to 4600mm long, as well as compact vehicles and Minis. The UKL platform supports at least three different wheelbases and variable track widths, making it suitable for several new models including a successor to today's X1 and a new front-wheel-drive entry-level 1-series sedan. BMW has both under intensive development right now.